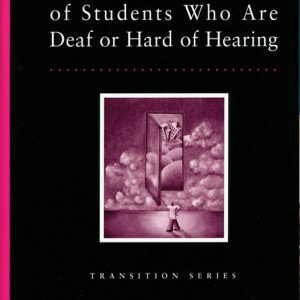 The book serves as a communication tool for teachers of the deaf/hard of hearing, audiologists, parents, and classroom teachers to facilitate children’s understanding of the various obstacles they may face. This book encourages children through simple explanations and illustrations that break down the often complex information that they receive about hearing impairment. 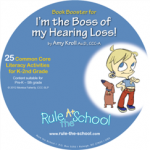 I‘m the Boss of My Hearing Loss is geared towards young children. 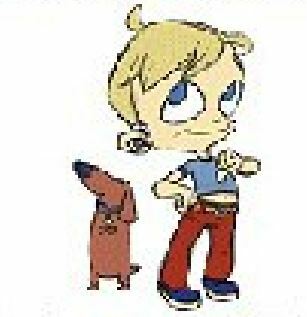 Simply defined, important concepts related to living with a hearing loss are introduced to the young reader step by step. 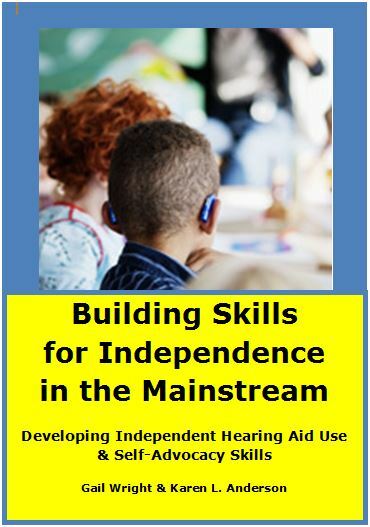 The author walks the child through the hearing aid and its components, FM systems, communication strategies, managing his/her environment, hearing aid care and maintenance, trouble shooting, and much more. 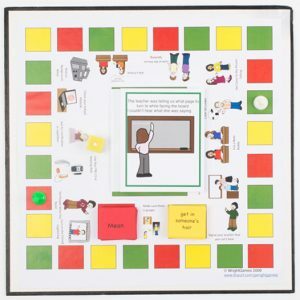 It functions as a manual to teach young children the basic information they need to not only manage, but also to feel in control of their hearing loss. 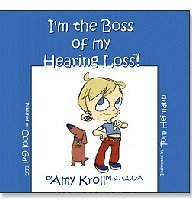 I’m the Boss of My Hearing Loss is detailed and easy to read. The illustrations provided are helpful and entertaining. 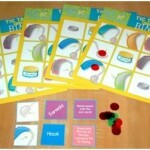 Diagrams of the hearing aid and the hearing aid maintenance kit are included, as well as a children’s version of the audiogram. These illustrations are not only useful for explaining aspects of hearing impairment to the young child, but they are also visually engaging and appealing.